I envy all those who get to experience the magic of Galena Lodge for the first time. 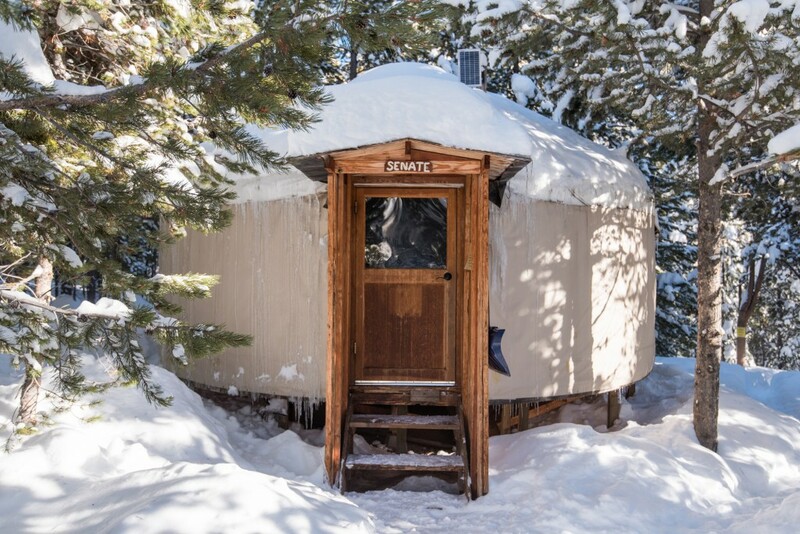 Located 23 miles north of Ketchum, Galena Lodge is the last remains of a once thriving mining town. The miners have long gone but thanks to engaged community members in the early 1990’s, Galena heritage as an adventure outpost thrives on. The trip to Galena Lodge begins with the beautiful drive north on Highway 75. Numerous turnouts along the road serve up welcomed opportunities to stop and admire the snowcapped ridges and foothills of the Boulder and Smoky mountains. Amidst the dramatic scenery, Nordic skiers can be seen racing up and down the groomed 30 kilometer long, Harriman Trail. Home to the Boulder Mountain Tour, this area snakes along the side the headwaters of the Big Wood River. Galena Lodge will come in to view just before the highways begins to gain significant altitude. Parking can be found right at the turn. If the lot is at capacity, backtrack a short distance on the road to an overflow parking area along the highway. Don’t be put off by the number of cars, once on the trails you’ll feel like you’re in your own private Idaho. If you're without a car, the Mountain Rides bus system is now offering a daily service to and from the lodge Dec 22nd - Feb 5th. At it's heart, Galena is known for the incredible cross country skiing, with 50 kilometers of impeccably groomed trails to satisfy novices and experts alike. If you are new to skiing, or need a refresher, swing into the rental shop to grab a pair of skis and a private lesson. With experienced instructors on hand, you’ll be gliding through the forest in no time. 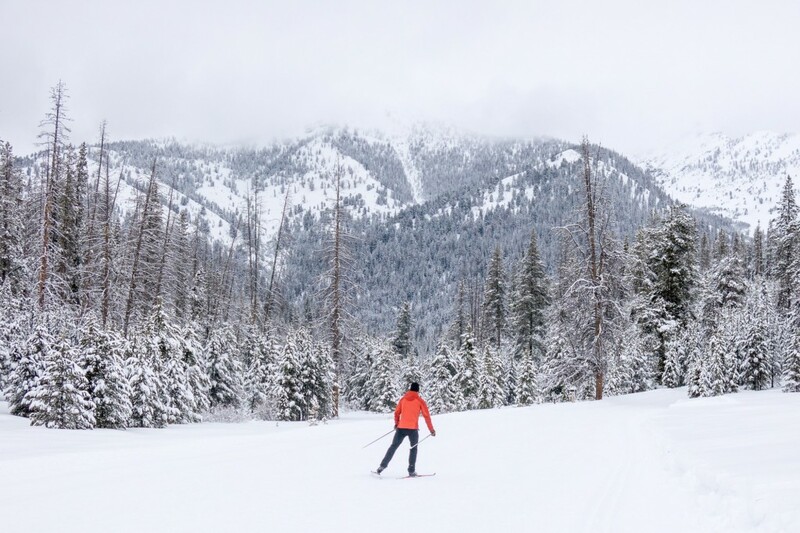 Trail Pass, Rental, and Lesson Pricing for 2016/2017 Beginner skiers and families will enjoy the challenge of Gladiator Loop, while expert skiers can take in the mountain views on Jenny’s Way or dog-friendly Titus Creek. If gliding isn’t your thing, check out Galena’s 35 kilometers of snowshoe trails. Climb through the woods on Rip N’ Tear or catch panoramic views of the nearby 10,000 foot peaks on Galena View. Most snowshoe trails are dog friendly, so bring your furry friend along for the adventure. Trail Pass, Rental, and Guided Snowshoe Rates for 2016/2017 After a morning of snow sporting you’ll bound to be hungry for lunch. With an eclectic menu utilizing local ingredients, Galena Lodge serves up delectable, hearty meals from 11:30 to 3:30 daily. Be sure to grab a pint of beer or glass of wine, as well as a fresh made cookie. After all, you’ve earned it! Eating on the front porch is popular no matter the season, especially on those sunny days. With your energy restored by the warm fireplace and delicious lunch, the afternoon is your oyster. Take your pick of a myriad of activities. Join the kids on the epic sledding hill behind the lodge. 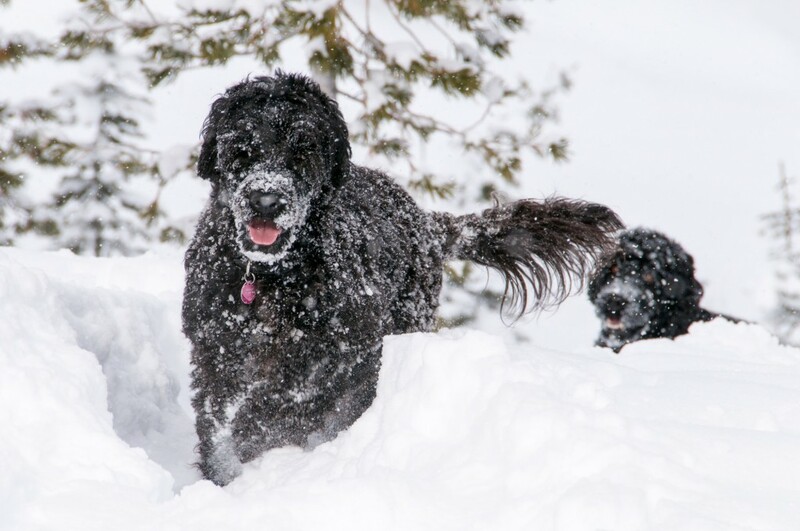 Grab one of Galena’s friendly loaner dogs and head out for another ski or snowshoe. 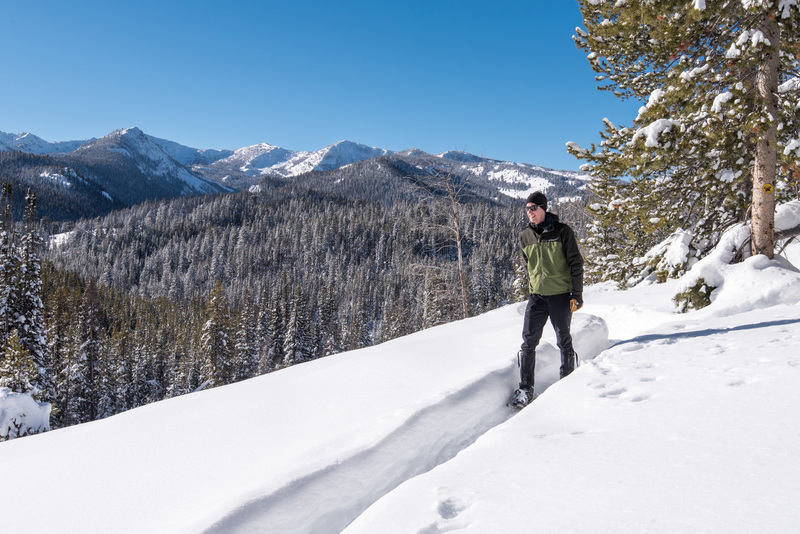 Go for a backcountry ski on Galena Pass (try the guided ski trip with Sawtooth Mountain Guides). Or, Curl up with a good book and another glass of wine. There is no wrong way to enjoy Galena. Galena holds a special place in the heart of the Wood River Valley. 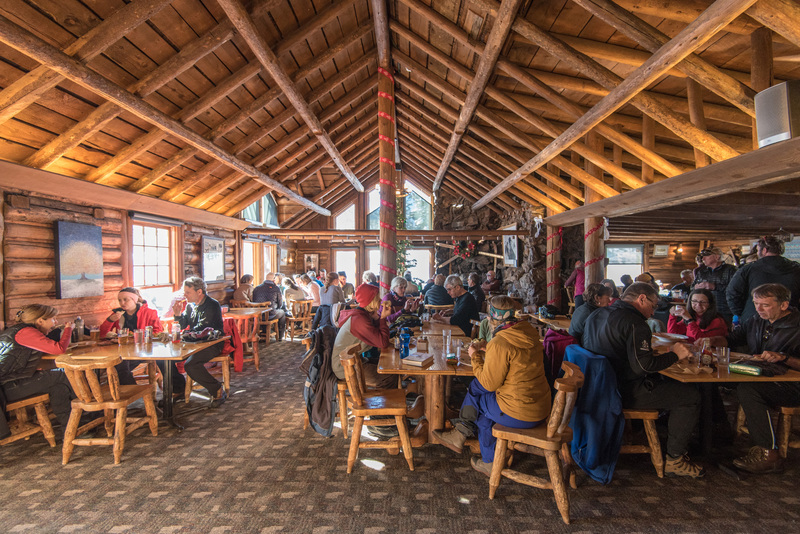 The Lodge is county-owned and relies on trail fees and donations to cover expenses. This winter, support Galena Lodge while experiencing the magic for the first or hundredth time. We'll see you up there!